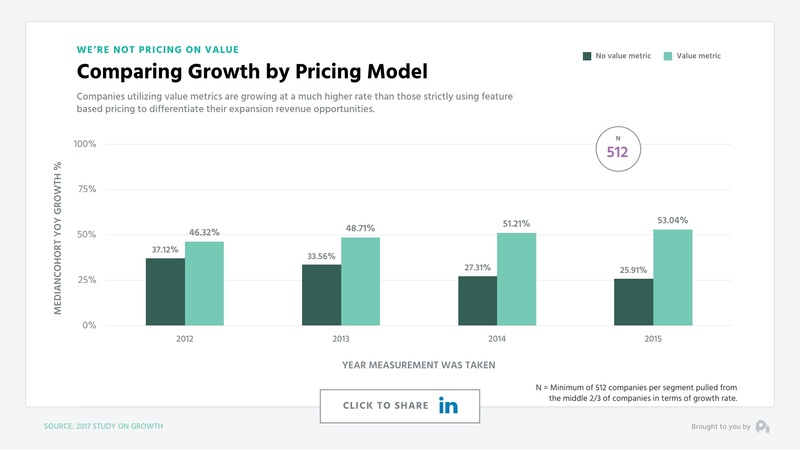 Pricing remains one of the most important growth levers in business today, yet we still fail to spend the time and effort required to leverage monetization for growth. On this episode of the ProfitWell Report, we set out to answer a question from Jeanne Hopkins, CMO at Ipswitch: How should you price to have the biggest impact on your bottom line? Pricing is one of the most important growth levers in your business, so to answer Jeanne's questions, we're going to dig into the data from nearly five thousand companies and over one million transactions. 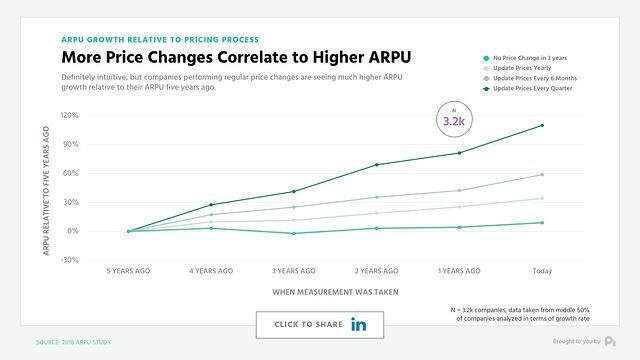 When comparing companies who regularly update their prices with those who don't, those companies updating their pricing at least once every 6 months are seeing nearly double the ARPU gain than those who upgrade their pricing only once per year or longer. Your price is the exchange rate on the value you provide, so as your product and company improves, your price should be tracking alongside that improvement. 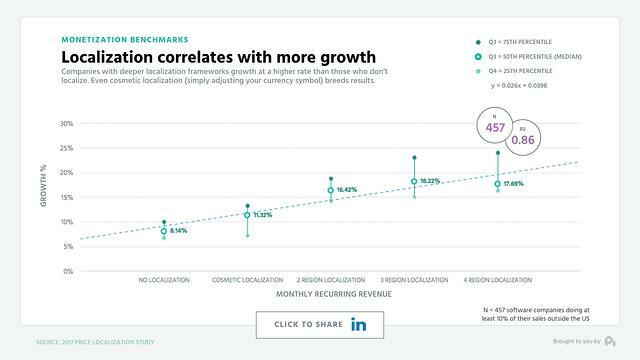 Similarly, when isolating and normalizing the microeconomic impact of improving your main growth levers, you'll find that Monetization has nearly 8x the impact of improving something like your acquisition. Here's the rub though. We don't historically care about pricing. 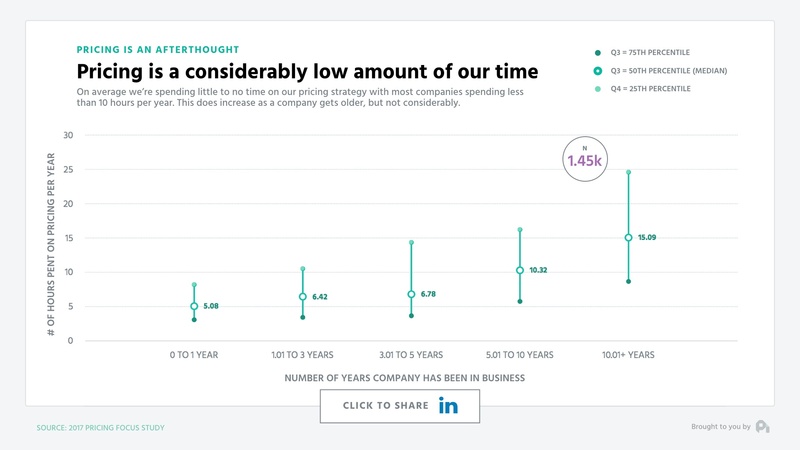 The average amount of time a company spends per year on pricing is less than 10 hours. There's a multitude of reasons why this is the case - pressures to grow at all cost, significant knowledge gaps on how to price, and countless others. Yet, there are some easy things you can focus on to ease yourself into high growth price optimization based on the data. First, make sure you're using a value metric. A value metric is what you charge for - per seat, per 100 visits, per gigabyte, etc. 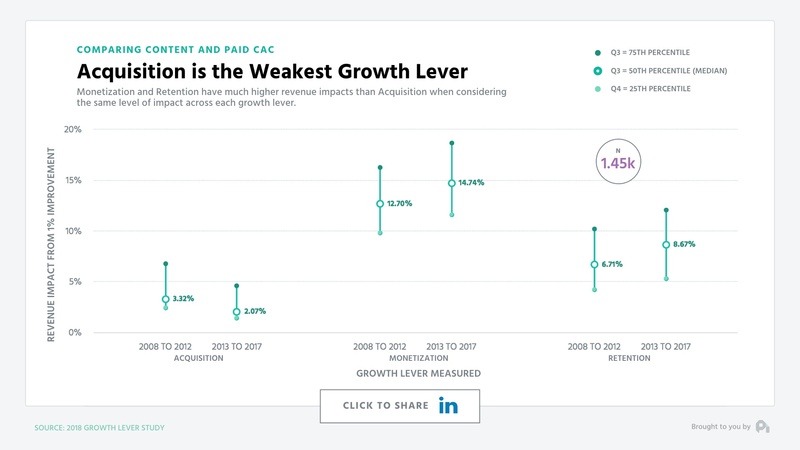 Data indicates that those companies utilizing a value metric are growing at nearly double the rate of those who are merely feature differentiated, and the divide is widening. Plus, this bakes expansion revenue into your pricing model to make retention easier, as well. Further, another quick win is to utilize price localization and internationalization, which means both updating your pricing cosmetically to use the currency symbol of the buyer, as well as updating the relative price of the product for the market density. 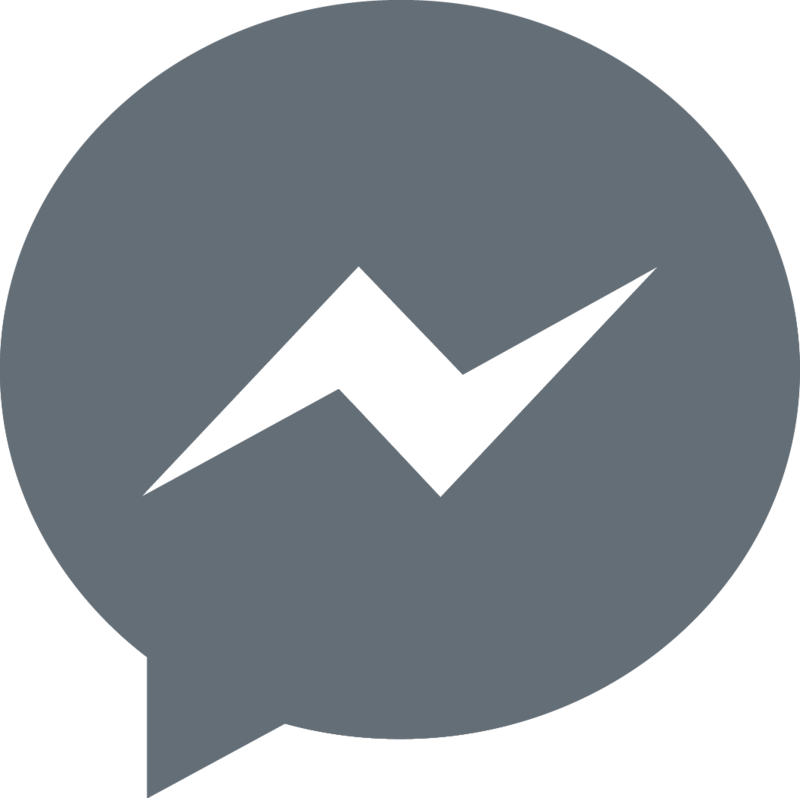 This is a relatively easy way to quickly gain 25-50% higher growth rates. We could go on for days - and we did in our 150 page book we wrote on pricing - but, that's all for now. 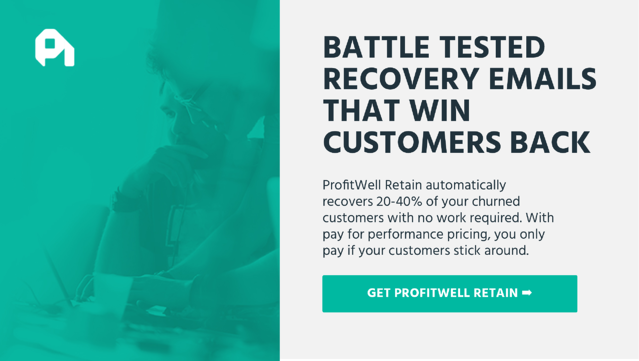 If you want us to dig further into this data or any other data, ship me an email or video to pc@profitwell.com. Let's also thank Jeanne for sparking this research by clicking to tweet below to give her a shoutout (you can edit before posting). See you next week. 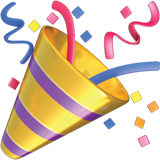 "Thanks @jeannehopkins for sparking the research behind this pricing and growth benchmark data."